We’re right up on Mardi Gras 2018, and if you’re not on your way to New Orleans, you’re probably at least hoping to celebrate with the trademark treat of the season: a King Cake. 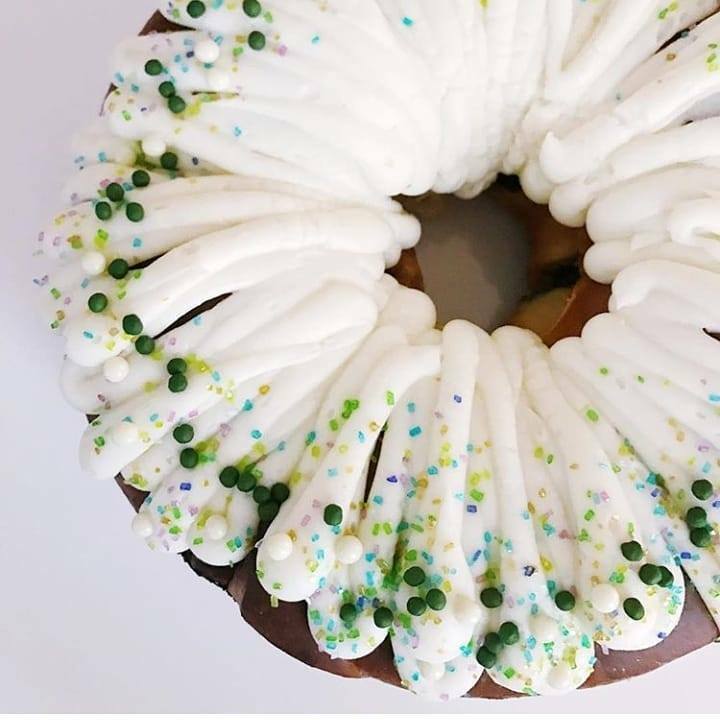 If you ask someone in Nashville where to get an authentic King Cake, most will tell you to hit up baker Nicole Wolfe of Wolfe Gourmet Cakes, a New Orleans native who’s been baking here for years. We heartily agree: She’s always our top choice, offering a mix of fillings (from simple cream cheese to serious maple bacon pecan), in small or large (ranging from $26.99 to $49.99). Flying solo? She doesn’t leave you out: You can also get a King Cupcake for $4.75. You can order directly from Wolfe if you get in early enough (she’s sold out now), but she usually also has cakes/cupcakes at various places around Nashville, including Porter Road Butcher in East Nashville and The Food Company in Green Hills. 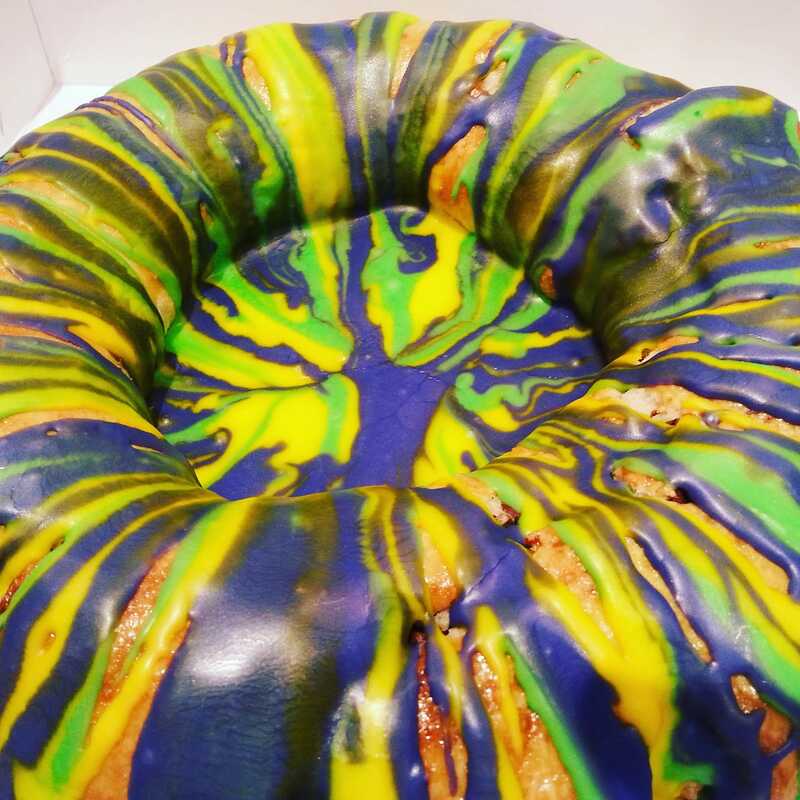 You’ve missed this year’s deadline for ordering a whole King Cake from Slow Hand Coffee downtown (300 10th Avenue South). Which is a bummer, since their house-made pastries are what make Slow Hand way more than your average coffee shop. 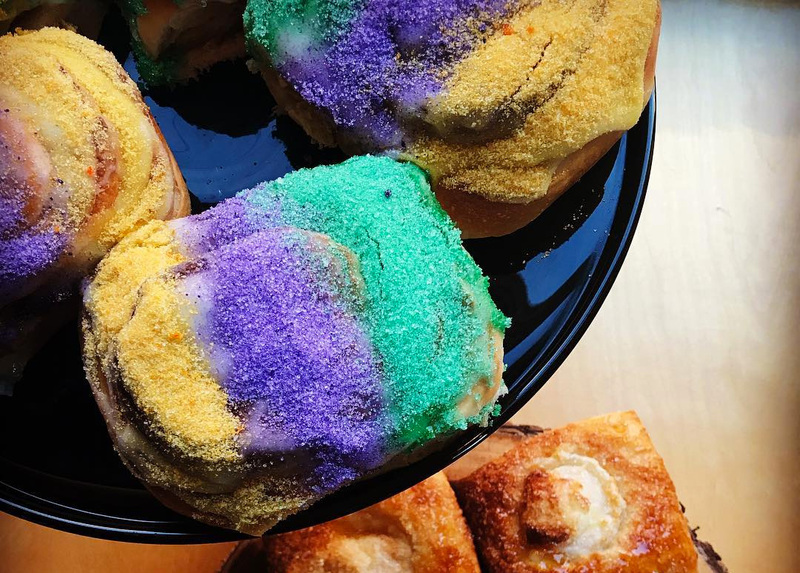 The good news: Pastry chef Audra Guidry has also been baking up King Cake cinnamon rolls, which’ll make a pretty perfect pre-Mardi Gras breakfast. Sweet 16th is tucked back in East Nashville, and for almost 15 years now, they’ve been making some of the city’s most irresistible sweet and savory baked goods. (Their breakfast sandwich is not to be missed.) 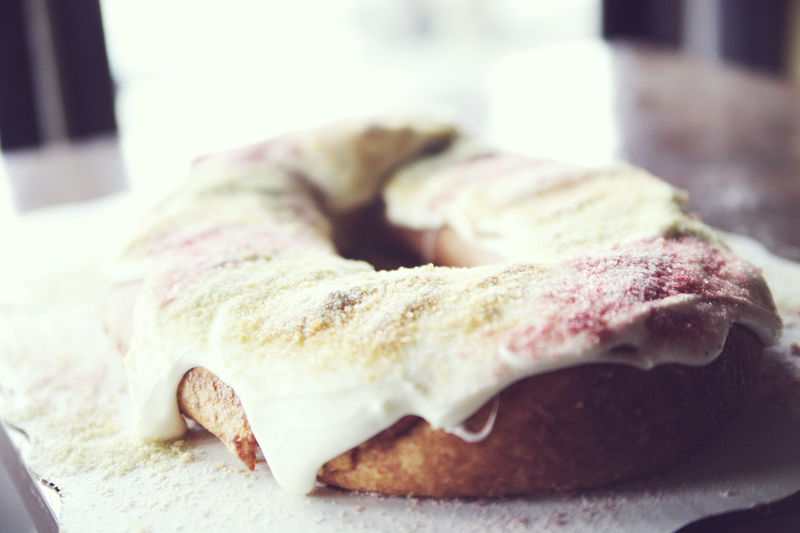 Their King Cake stands out both visually and taste-wise, and they’re really affordable: $20. Stop by (311 N. 16th Street) or call to order (615.226.8367). 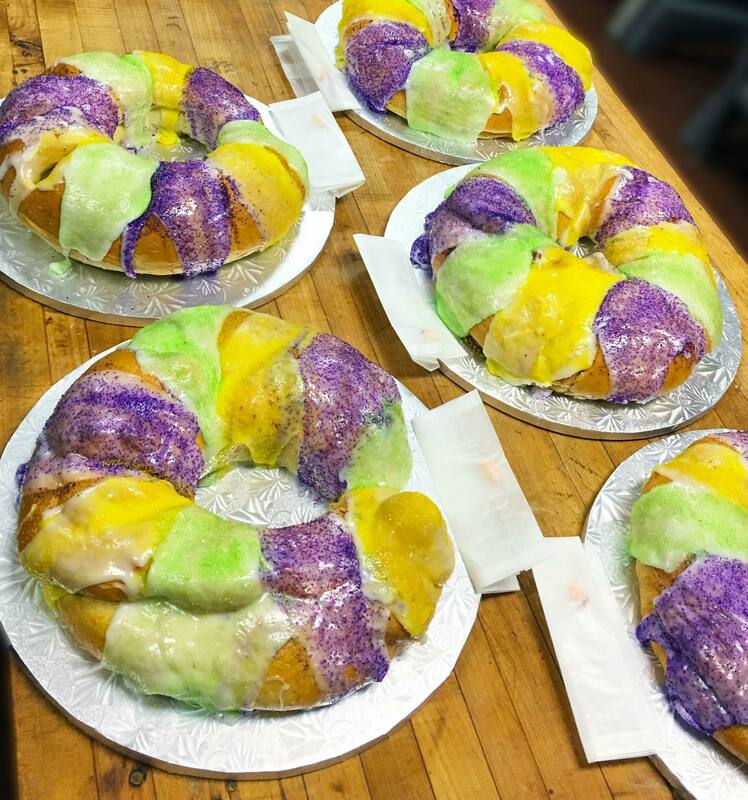 For the Brentwood residents: Long-loved bakery/cafe The Puffy Muffin (229 Franklin Road) bakes up traditional King Cakes annually, and they tend to sell out. So you might want to call ahead before you swing by, and/or plan ahead for next year. If we can’t help you with baked goods, maybe we can help you with househunting: Reach out and let us know if you could use some guidance while you look for a new Nashville home. For an easy way to get your Nashville househunting process started, you can also fill out this quick form.